Most children will reach their adult height with a height range = the above numerical results, plus or minus 8.5 cm. Carbohydrates. Excessive consumption of carbohydrates can trigger a spike in body insulin. This can result in decreased production of growth hormone. Genetics. The growth of your Little One can be affected by certain conditions in the thyroid or other genetic disorders. Lack of sleep. While sleeping, the body produces growth hormone. This is why, for optimal growth, the Little One should get enough rest. Cigarettes. Children, as passive smokers, will experience an increase in carbon monoxide levels in their blood. This can lower the oxygen levels that are important for growth. Create a rest break for your Little One. Try to get 10-12 hours of sleep each night for optimal growth process. Get your Little One to rest at noon. 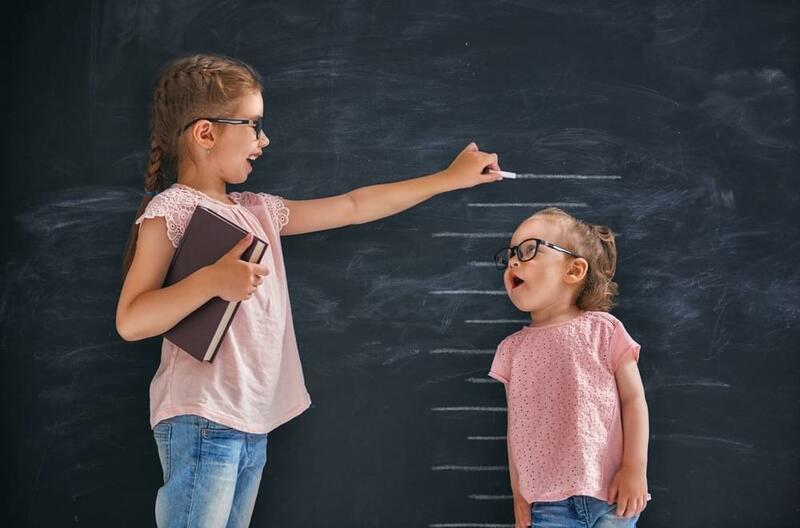 The results of a study published by The Journal of Nutrition showed that the children who get a daily intake of protein-rich foods have a significant high increase in height compared to the children who only consume less protein. Mommy can provide your Little One, protein-rich foods such as fish or lean meat as well as milk containing whey protein (a complete protein comprised of essential and non-essential amino acids). Sports, when done regularly will improve the appetite of your Little One. Physical activity will keep your baby growing at a consistent rate and avoid the risk of obesity. According to The Journal of Nutrition, although the results of research on these ingredients when given alone are not yet consistent, the administration of calcium, iron, and vitamin A when combined with proteins can be beneficial to the growth of your Little One. Now, Mommy can easily choose the source of micronutrients. Give the Little One, the milk that has been fortified with calcium and also vitamin D. Calcium is one component that helps maintain bone and teeth density. While vitamin D is needed for the absorption of calcium can be done by the body maximally. To ensure your Little One's growth is consistent with the reference, take him or her regularly to the doctor. This is the first step in detecting growth problems. Likewise if Mommy suspects any growth abnormality is occurring, immediately take your Little One to the doctor to get immediate treatment. Mommy would want the Little One to grow and develop optimally to reach its maximum potential. Provide adequate nutrition so that the growth and development process can go as expected. The golden period, which is lasted from 0 to 3 years old, determines the growth and development of the brain. Hence, your little one requires good nutritional intake as well as proper stimulation to make sure optimal development of intelligence.